Nowadays our bodies are exposed to various kinds of environmental stress. Even food can be sometimes contaminated with heavy metals and other harmful substances, which puts significant strain on our immune system and metabolic processes. 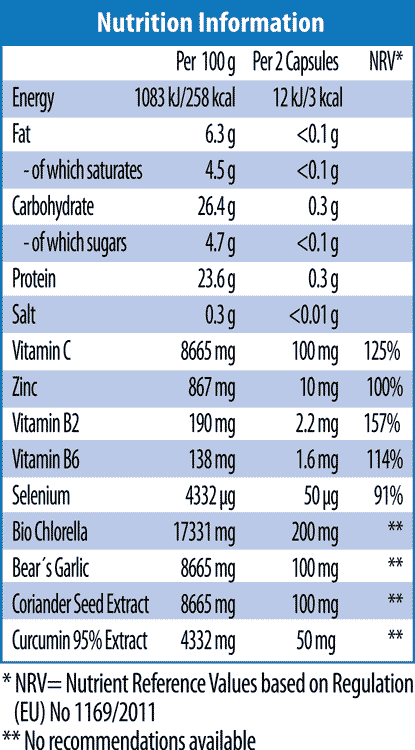 This is why a well-balanced nutrition is very important. 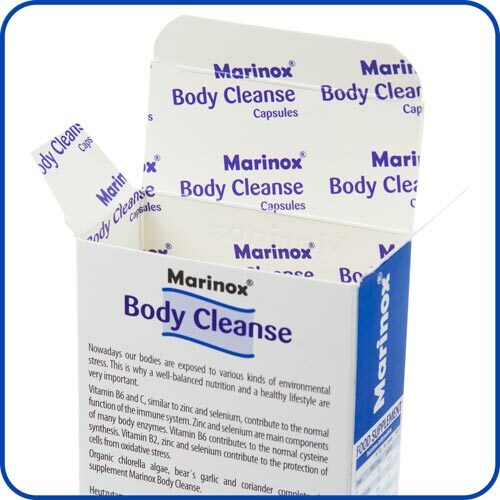 Marinox® Body Cleanse contains vitamin C and B6 and together with zinc and selenium contribute to a normal immune function. 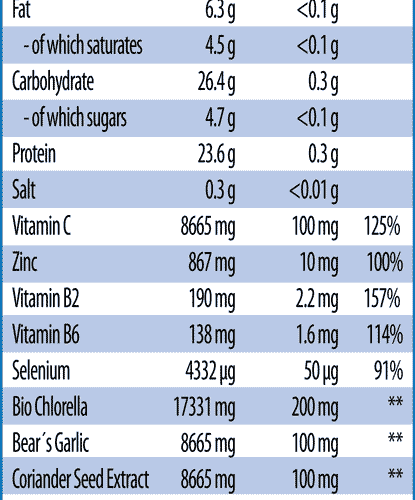 Zinc and selenium are main components of many body enzymes that neutralize the harmful effects of free radicals. Vitamin B6 contributes to the normal synthesis of the amino acid L-cystein, which is capable of binding to heavy metals to form complexes that can be excreted by the body. 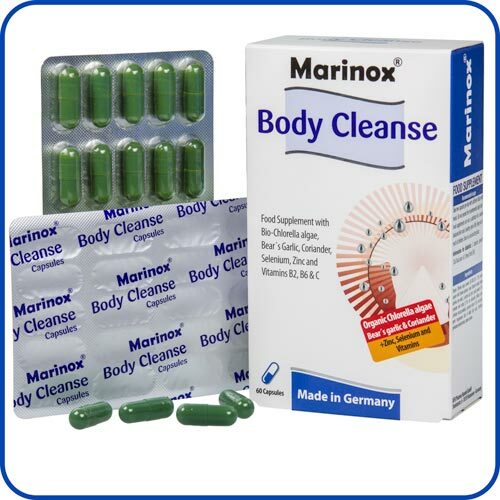 The known positive effects of chlorella algae, bear´s garlic and coriander on the general well-being are promoted by the vitamins and trace elements. Organic Chlorella algae powder (DE-ÖKO-024) 17.3%, inulin, capsule shell (bovine gelatine, colour (titanium dioxide, Indigo carmine, iron oxide), L-ascorbic acid, bear´s garlic powder 8.7%, coriander seed extract 8.7%, zinc gluconate, bulking Agent (cellulose microcrystalline), curcumin extract 4.3%, anti-caking agent (magnesium salts of edible fatty acids), riboavin, pyridoxine hydrochloride, sodium selenite. 2 capsules provide 12kJ/3kcal and <0.1 bread units (BU).